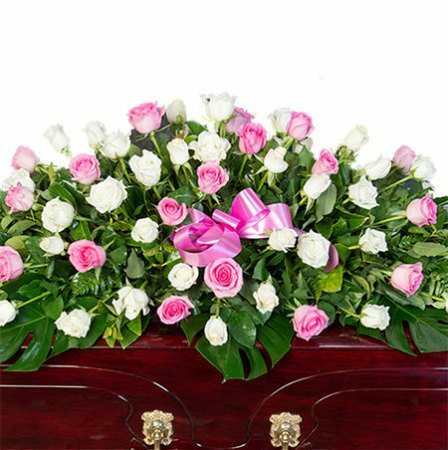 A delicate and pretty funeral casket spray of flowers featuring long stem pink and white roses accented with fresh, lush greenery. 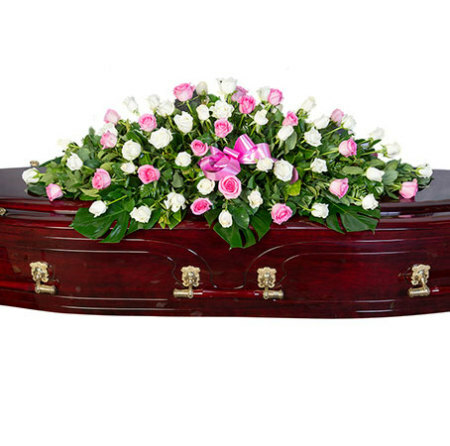 Our funeral casket flowers can be ordered via the online florist shop or alternatively feel free to call our helpful consultants on 1800 66 66 46 or email sales@flowersforeveryone.com.au Flowers for Everyone offer a highly professional funeral flower service in the Sydney metro region. For funeral flowers outside Sydney, our florists will coordinate your order via an affiliate florist network to recreate our style and colours as closely as possible.